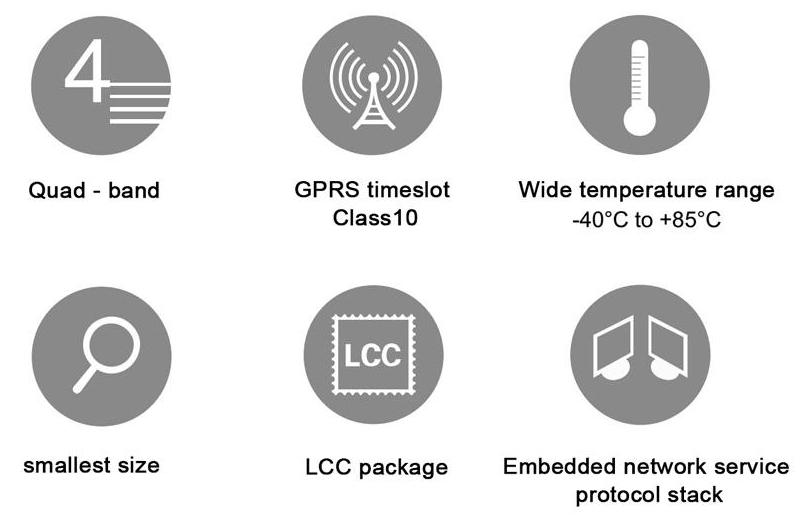 GC65 is the world's smallest quad-band LCC package GSM / GPRS module, the size is only 16.9 x 19.0 x 2.35mm, to maximize the end product to meet the needs of small size module products, effectively help customers reduce product size and optimize product costs . The GC65 is available in a more easily welded LCC package that enables rapid production of modules via standard SMT equipment, providing customers with highly reliable connectivity, especially for automated, large-scale, low-cost, modern production methods. At the same time, in the customer for a small amount of production, LCC package can meet the requirements of manual welding. 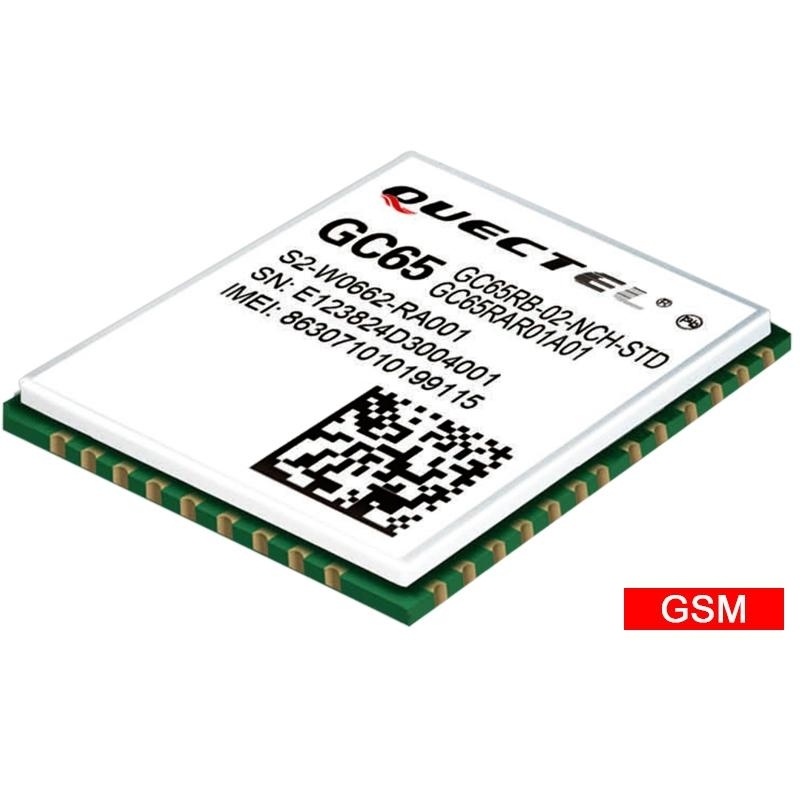 With ultra-small size, ultra-low power and wide operating temperature range, the GC65 is ideal for M2M applications for automotive, industrial and PDA, personal tracking, wireless POS, smart metering and other M2M applications Perfect GSM / GPRS SMS, data transmission and voice services.